Wow Jodi I so like this yummy recipe and it was so delicious. A great presentation too. 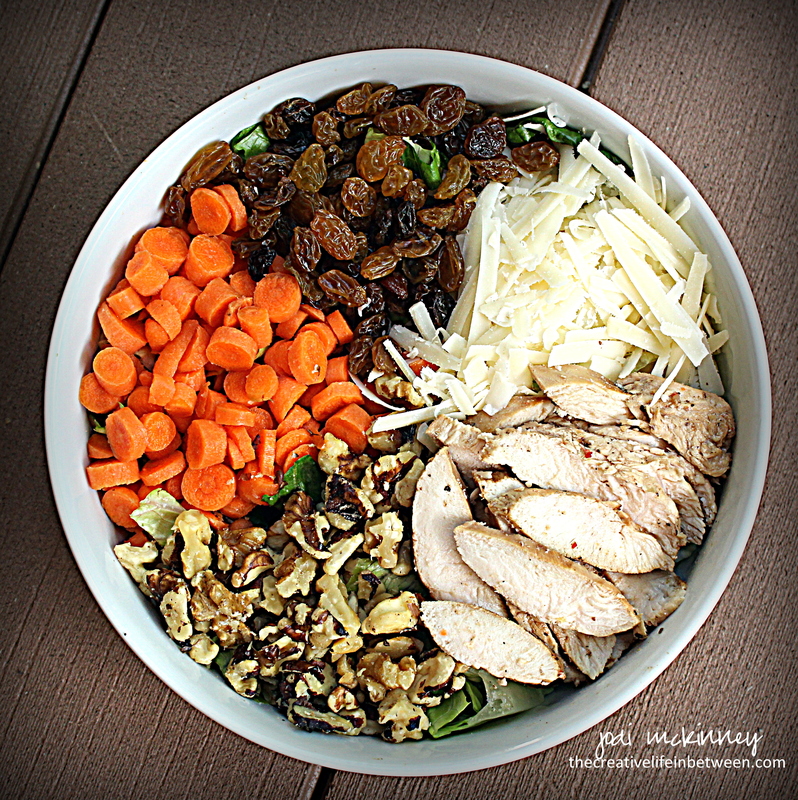 Chicken salad, yum! Brussel sprouts, not so yum! YUM! This looks delicious! I love brussel sprouts. You make everything look so yummy! I’m sure it was! It looked and sounded delicious! 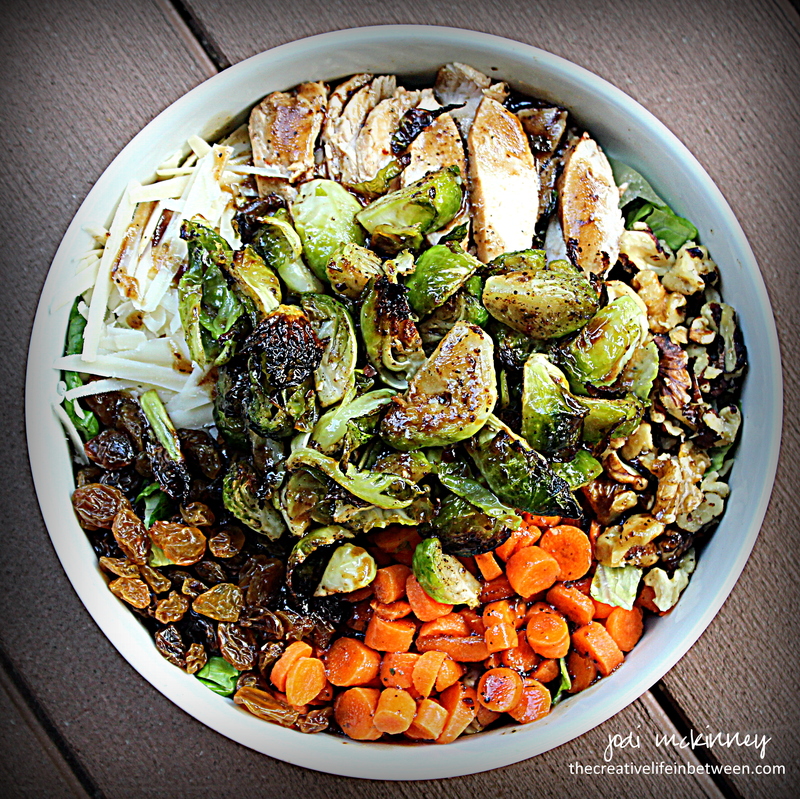 Beautiful salad Jodi, roasted Brussels sprouts are one of my favorites! 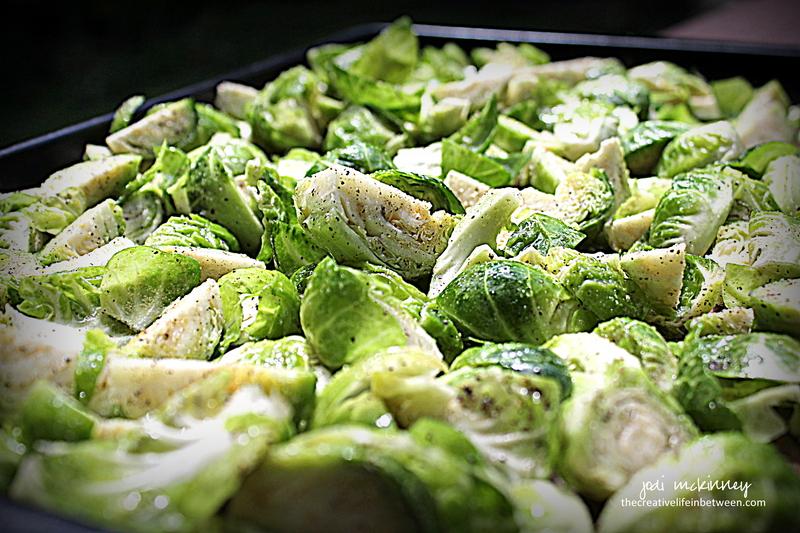 Yes Jodi, Brussels Sprouts & Carrots – I am on my way, please save me some, please? Jodi, so yummy! 🍽 I would not change any of this!! 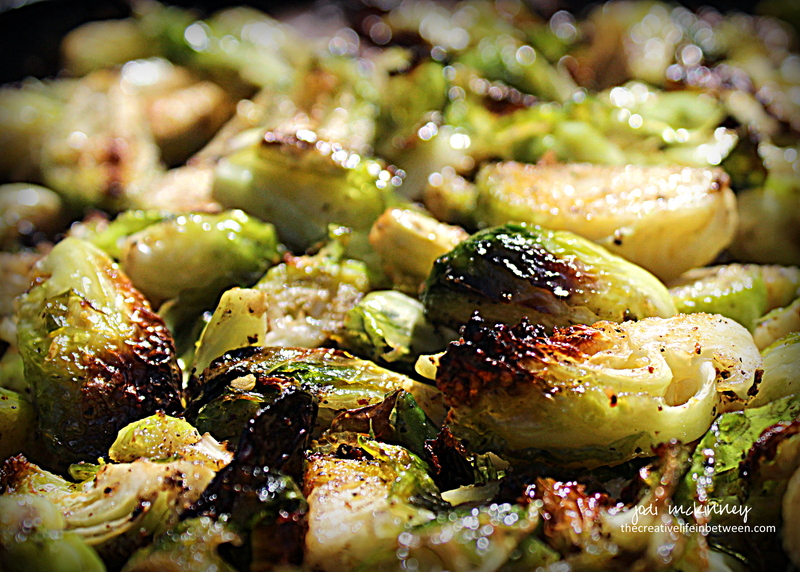 I have started liking brussel sprouts, wish I had never tried them boiled. Never would go “back” to that preparation! I’m glad you enjoy my crazy mix of things I love to do “in between!” 😉. Thanks so much robin. Another great recipe! Thanks, Jodi!